This 4 day course is suited to experienced riders who have completed a CBT, and have been riding for some time. This course will end with one of our pre-arranged DSA tests and, as with all our courses, prices include bikes and equipment. This 5 day course will be our most popular training module. Combining our usual high standard of instruction with the best value for money around, it is designed for riders with some experience and starts with a CBT (where required). You will be teamed up with another rider to work towards your full bike test on day 5. For those riders who are starting from scratch, we are please to offer a course to suit you! 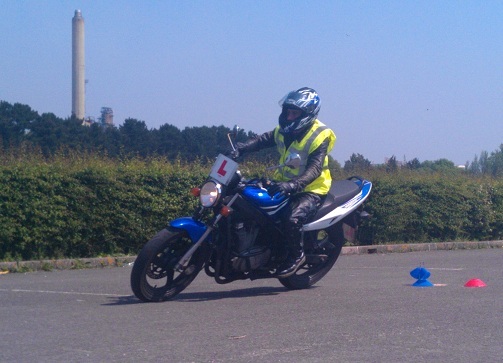 Starting with a CBT, our 6 day Direct Access Course will always start on a 125cc. Your Qualified instructor will ensure that your step up to a 500cc and onto a 650cc will be timed according to your personal rate of progress. Riders attending any other Direct Access Courses can expect to be riding a 500cc machine throughout training. All course costings include bike hire, equipment hire, and practical tests fees. Unlike many other organisations, we guarantee never to place more than two pupils on each course and our unbeatable prices include the DSA test fee! Our free assessment session is designed to establish which of our many training courses would best suit you; the individual. It also gives you an opportunity to look at us and our standards before any financial commitment is made. Our assessment lesson is free and without obligation.